Comments: Fan palm native to coastal Mexico (Gulf and Pacific), south to El Salvador, and north to Texas. 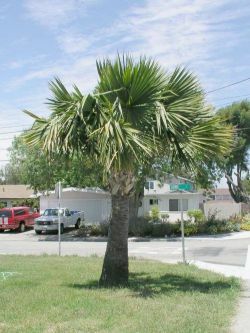 Large fan palms with fans up to 15' in length, leaf stem is completely thorn-free. Trunk and leaf bases similar to Robusta Palm, and tree is not self pruning.